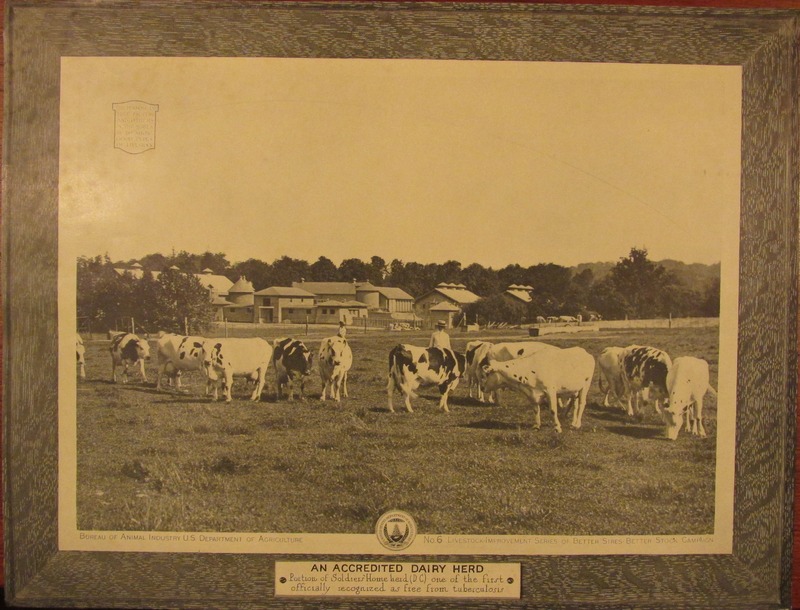 Another Historic Image of the Soldiers’ Home’s Dairy | Park View, D.C.
Here’s a print of the dairy at the old Soldiers’ Home. It was published around 1922 as part of a Bureau of Animal Industry U.S. Department of Agriculture photo series. This image was No. 6 in the Livestock-Improvement Series of Better Sires-Better Stock Campaign. This entry was posted on June 26, 2014 at 7:01 am and is filed under Armed Forces Retirement Home, History. You can subscribe via RSS 2.0 feed to this post's comments.